The beauty of Southwest Colorado attracts many families to spread the ashes of their loved ones at their favorite sites. But check first with the land’s governing agency before spreading ashes because different rules are in place depending on the site. Living in a desirable part of the country with beautiful scenery, many people decide to make the wild lands of Southwest Colorado their final resting place. In March, Amy Buchanan and her family took a helicopter to the spot where an avalanche claimed her 23-year old daughter’s life in a skiing accident last year, and released her ashes over the mountain she loved. Olivia, who grew up in Durango, was skiing on Kendall Mountain above Silverton on Jan. 6, 2015, when she triggered a slide that carried her several hundred feet into a grove of trees. Despite an extensive rescue attempt, Olivia died from her injuries. The Buchanans held a small ceremony recently at the spot where Olivia’s ashes were spread, an area owned by the town of Silverton and the Bureau of Land Management. However, the rules on scattering remains varies among land agencies. On National Forest Service land in Colorado, there are no rules regarding private ceremonies in which family and friends spread the ashes of a loved one, though media officer Lawrence Lujan suggested individuals check with their local and state agencies for site-specific guidelines. For instance, Rocky Mountain National Forest requires a permit, while in Durango, the San Juan National Forest does not. Commercial operations, such as mortuaries, are not allowed to offer scattering remains as part of their services, he said, and the construction of any marker or memorial is strictly prohibited. Spreading ashes on BLM land is allowed, though there are some rules. No permit is required, but the agency encourages small, private ceremonies that are away from high-visitor use areas and unpublicized. Remains must be scattered at least 100 yards from any trail, road, developed facility or body of water in a manner that makes it unseen to the public, and no markers or memorials may be constructed. The BLM does not consider scattering cremated remains a threat to archaeological resources, so consultation with Native American tribes is not mandated. While scattering human remains is allowed on certain Park Service lands, it is not at Mesa Verde National Park. It is also prohibited at any Colorado state park, and all Durango city parks. 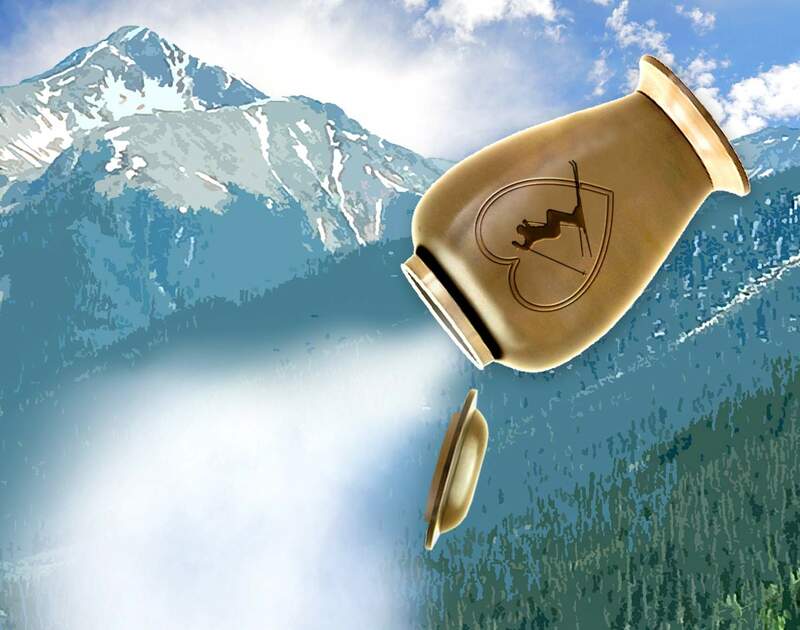 Ryan Phelps, owner of Hood Mortuary, said Durango residents’ outdoor-oriented nature leads many family members and friends to decide to spread their loved one’s ashes at a favorite spot in the towering mountains to the north, or deserts to the south. He said he doesn’t encourage anyone to scatter cremated remains on public lands, but he understands some families’ strong emotional pull toward properly memorializing one who has recently died. Jennifer Schoedler, owner of Alpine Animal Hospital in Durango, said she knows of many pet owners who take their animal’s ashes to a place they used to hike or swim. “It’s hard to lose a pet, and for some people, it’s part of the grieving process,” she said. Phelps agreed. In Durango, people have lived their lives outside, and in a spiritual sense, want to remain outside even after death, as part of the landscape.